Only 1d 4h 54m 34s left! Hello! Welcome to my Renderosity home page! My name is Mike and I live in the little state of New Hampshire New England, USA. As of 10/20/13 I am 53 years old. Holy crap! I'm getting old! Anyway, I am a LONG time amateur photographer - since the early 80's and very much enjoy digital photography and photo editing. In 2007 I came across an art site that had rendered artwork and I thought it looked really cool. Having never heard of 3D amateur art I followed the artist's link to download DAZ Studio for free and have been hooked ever since. 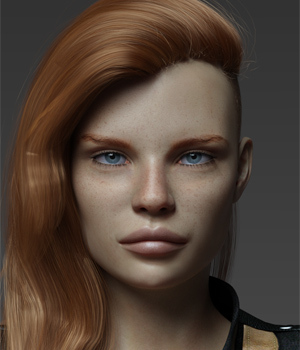 Though I presently create my 3D artwork using Poser Pro 2014 I do want to return to DAZ Studio once again and keep current with it. My other interests include: camping, kayaking and photo manipulations. My favorite art styles are science fiction and fantasy. My creative art tools of choice are Poser Pro 2014, Photoshop CS and a Wacom 4x6 Tablet. My favorite music groups are The Moody Blues and Blackmoore's Night. Thank you for stopping by. Feel free to drop me a site mail if you feel so inclined.